Known for its distinct districts, unique culture, and eccentric people, San Francisco is a one-of-a-kind vacation destination that’s jam-packed with an outstanding art scene, countless gourmet restaurants, and endless sightseeing opportunities. 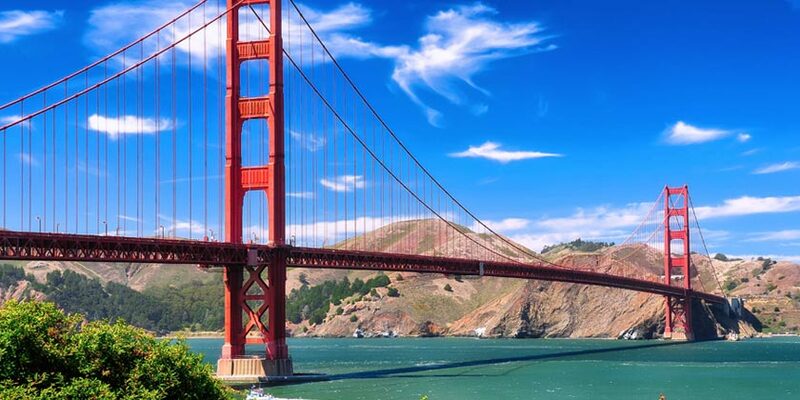 Around every corner are must-see attractions like the famous Golden Gate Bridge, the masterful blue waters of the bay, the notorious Alcatraz, and much more. Flock to Fisherman’s Wharf for a boat tour or explore San Francisco staples like Pier 39 and Ghirardelli Square. Hop on an iconic cable car and explore one of the city’s colorful neighborhoods like Chinatown, celebrated for being the largest of its kind outside of Asia, charming Little Italy located in North Beach, Haight-Ashbury, known for its hippie roots and critically acclaimed dining, or SoMa, an area brimming with museums. Experience a city unlike any other when you visit San Francisco with plenty of flights with United Airlines® and great United Vacations packages. See more and avoid most ticket lines! CityPASS is good for nine days beginning date of first use - it's perfect for weekend or a week! Enjoy a comfortable, picturesque drive by luxury coach to wine country to visit several wineries for guided tours and tastings. See San Francisco at your own pace on a two-day hop-on hop-off tour! When your cruise ship docks in San Francisco, combine a city tour and a guided visit to Alcatraz for the ultimate San Francisco experience. Take the 60-minute Golden Gate Bay Cruise and you'll see why it's the perfect introduction to San Francisco. Discover why Muir Woods and the Californian wine country are two of San Francisco's most popular day-trip destinations on this great value tour combo! Resort info: Nestled on the Waterfront in the heart of Fisherman’s Wharf, guests enjoy access to Pier 39, a swimming pool and a fine selection of restaurants. Resort info: Steps away from Pier 39, Aquarium of the Bay, Ghirardelli Square and the world famous cable cars, this hotel has something for everyone. Resort info: A prime location steps away from Pier 39 and superior service make this a great choice for travelers in San Francisco. Resort info: Beautifully-appointed guestrooms, outstanding service & a prime location, this hotel provides the perfect setting for relaxing vacations. Resort info: Escape to the vine-braided landscape of Napa Valley and the vibrant charm of Downtown Napa at The River Terrace Inn. Resort info: In the heart of Fisherman's Wharf and adjacent to the Aquatic Park and Hyde Street Pier, this first-class boutique hotel appeals to everyone. Resort info: This Italian-inspired boutique hotel is located in the heart of Fisherman's Wharf, steps away from San Francisco's famous Pier 39.